The Apple Watch Series 4 is easily the best smartwatch ever made. It’s got GPS, LTE, a near edge-to-edge screen, an EKG sensor, and fall detection—all features no competitor can match. But all of that functionality comes at a cost, and I’m not talking about the $500-plus price tag. The new Apple Watch still only gets around 18 hours of battery life, all but assuring that anyone who buys one will want to invest in a nightstand charger. Like the iPhone, Apple is seemingly content to get users through a busy day wearing its watch, and anything beyond that isn’t a priority. That’s not the case with Fitbit. Over the past 12 months, Fitbit has introduced three new devices—the Ionic, Versa, and upcoming Charge 3—all of which measure battery life in days, not hours. That not only means Fitbit’s wearables last way longer than Apple Watches, it also means you don’t have to take off your Ionic or Versa at the end of the day. And that lets Fitbit keep tracking your health after you fall asleep, which could be its most valuable advantage over the Apple Watch. The Apple Watch Series 4 is beautiful, but you’ll still need to charge it every day. Like Apple Watch, you won’t find a Sleep app on the Versa or Ionic. They don’t need it. 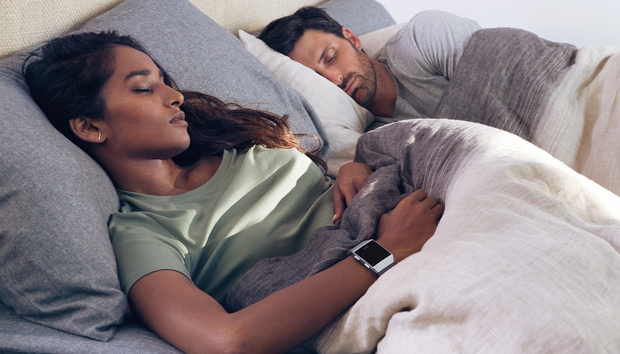 Fitbit has built native sleep tracking into every one of its devices that works as seamlessly and automatically as step tracking—you don’t need to set up or install anything. Just fall asleep and it automatically starts working. Fitbit’s Sleep Stages uses the heart-rate monitor to track every aspect of your night’s rest. Fitbit sees sleep tracking as one of the three main tenets of a regimen, along with nutrition and exercise. Heneghan called it a “key component to what Fitbit is about” and sees the data Fitbit collects overnight as invaluable to its core mission of promoting and encouraging health and wellness. It impacts all aspects of its wearable platform, from the insights and alerts user get to things like the Fitbit Labs’ Think Fast app. A seemingly time-killing, task-switching game for Ionic and Versa, Fitbit uncovers a “significant relationship between Think Fast performance and sleep among different age groups and gender,” simply by studying the data it collected. In short, those who slept better got better scores. 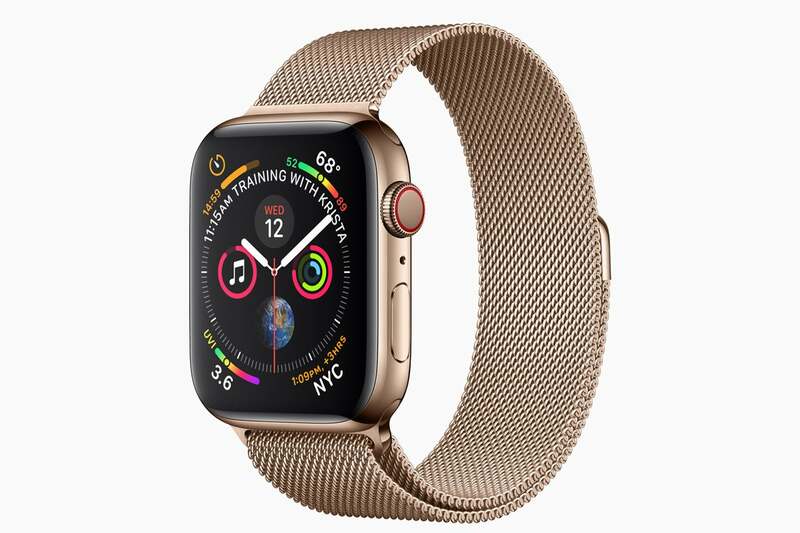 Of course, Apple Watc is technically able to track sleep using its heart-rate monitor, but you’ll need to either buy a second watch or opt to charge it at some point during the day. And you’ll need to download a third-party app to visualize any data, a process most users are unlikely to do. Apple has made a big deal about the Apple Watch’s life-saving abilities, and rightfully so. 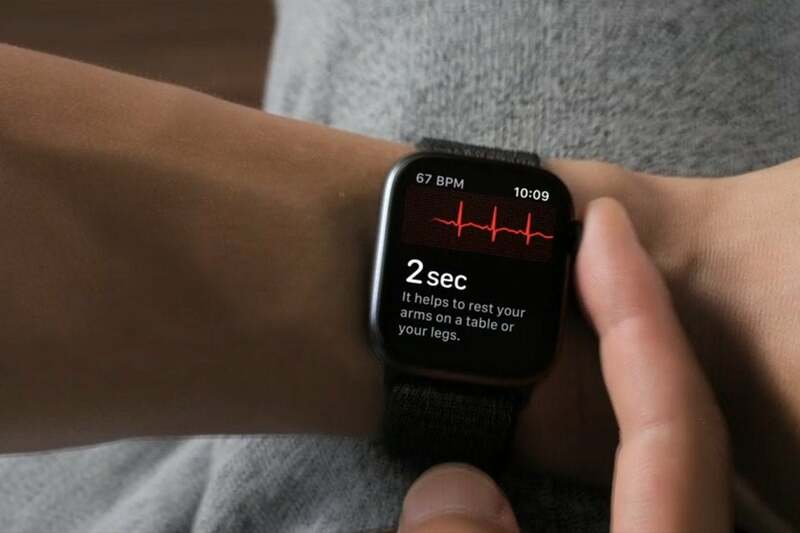 There have been numerous accounts of people who were alerted to heart rate issues by their Apple Watches and they were able to get the help they needed. And with the Series 4 models, monitoring is even stronger thanks to the world’s first ECG sensor that’s built right into the Digital Crown. Just press your finger on it and your watch will measure the waveform of your heart’s electrical activity to scan for warning signs of arrhythmia or heart disease. Fitbit’s sleep data is presented in easy-to-read charts. But Fitbit sees sleep tracking as just as important of a life-saving feature, if not more of one. Sleep apnea might not be as a scary of a term as atrial fibrillation, but after it was listed as one of the main causes of Carrie Fisher’s death, more people are becoming aware of how deadly it can be. More than just a snoring problem, sleep apnea is a condition that blocks the upper airway and can prevent breathing for as long as 10 seconds during sleep. According to the National Sleep Foundation, more than 18 million America adults suffer from sleep apnea, which can lead to hypertension, heart disease, and mood and memory problems. The Charge 3 will display your sleep data right on the Today screen. 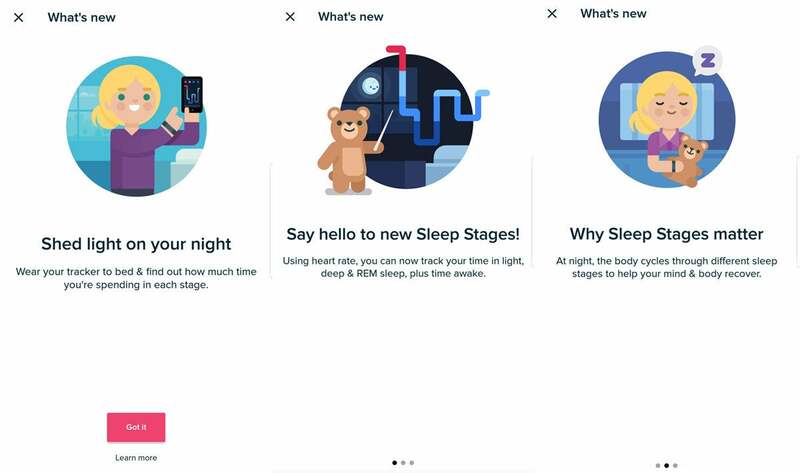 Fitbit is already working with the FDA on getting a sleep apnea alert system approved, and it will roll out a beta version of its Sleep Score tracker later this year. Fitbit’s dashboard app already breaks down your sleep into stages (awake, REM, light, deep), but Sleep Score takes it to another level by utilizing the PurePulse heart monitor and relative SpO2 sensor in the Ionic, Versa, and Charge 3 to test for breathing disruptions and other factors that may be impacting your rest. 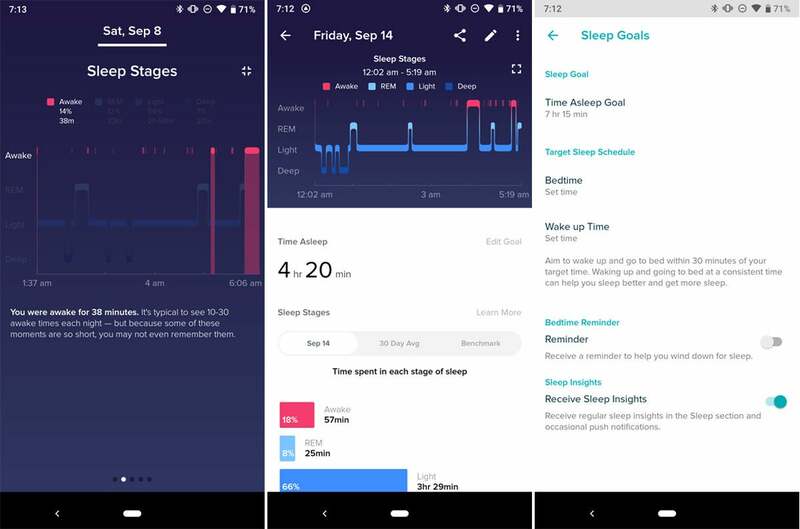 Eventually, it will occupy the sleep section of the Fitbit app on your phone to bring breathing quality alerts and offer a deeper understanding of the quality, duration, and composition of your sleep. The most valuable part of Fitbit’s all-day tracking strategy isn’t the week-long battery life or SpO2 sensor. It’s the gobs of data it has to work with. 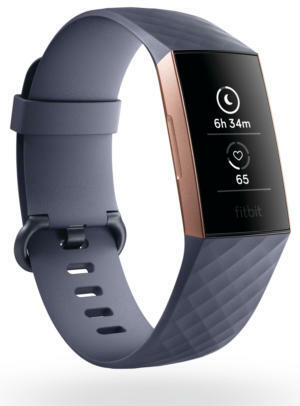 Like Apple, the heart-rate, fitness, and sleep numbers Fitbit receives from its users is aggregated and anonymous, but the information is invaluable to pinpointing problems and delivering the appropriate insights and alerts to users. The Digital Crown is also an ECG sensor on the Apple Watch Series 4 but Fitbit’s sleep tracking may be just as life-saving. And some of the most important data it collects is when its users aren’t active. Fitbit recently unveiled that it had collected some 6 billion nights of sleep data to chart the difference between men and women (women get about 25 minutes more per night), old and young (deep sleep degrades as we age), to bedtime variances (New York has the least consistent shuteye). Data like this isn’t just interesting— it can help track trends in diseases as well. For example, Dr. Srijan Sen, professor of depression and neurosciences at the University of Michigan, is using Fitbit devices to conduct a comprehensive study into how lack of sleep affects depression and suicide rates among interns. The voluntary study requires residents to record daily mood ratings and quarterly surveys, but mostly participants need only wear a Charge 2 while they sleep. The Fitbit app’s sleep tab is its most engaged feature. While common step and fitness tracking is a “big part” of Dr. Sen’s study, the main reason why the university chose Fitbit devices is due to their battery life, letting research scientists get the best possible picture. “The fact that a lot of people don’t wear the Apple Watch every night because it’s charging makes the sleep data less consistent,” he said. So Fitbit devices might do more than save lives—they could improve them too, in a way Apple Watch simply can’t.